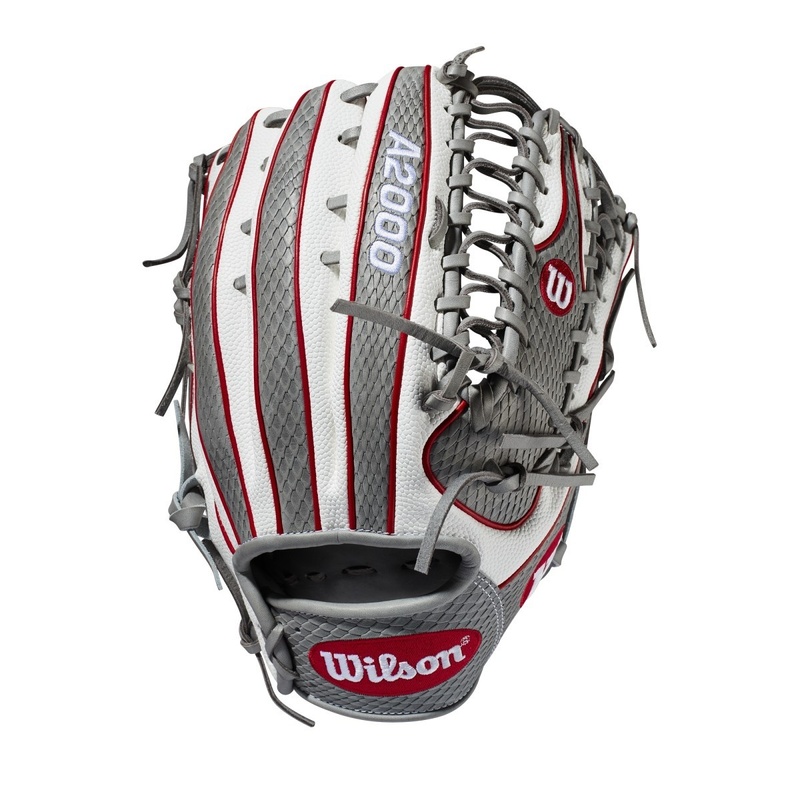 If you're an outfielder and you love snakeskin Wilson has got you covered with this design. Are you an outfielder who loved the February SnakeSkin-style GOTM model? Don't worry, we've got something for you, too. This A2000 OT6 features Grey SnakeSkin Pro STock Leather and White SuperSkin that comes together flawlessly with Red logos and welting in a hard-hitting design that's incredibly lightweight. Each month, Wilson unveils a new A2K or A2000 Glove of the Month -- a unique limited-edition Pro Stock ball glove available only in-store from select dealers. Past Glove of the Month gloves have included player customs, one-of-a kind models and fan-designed contest winners. A portion of the proceeds go to Pitch in for Baseball, a longtime Wilson charity partner.